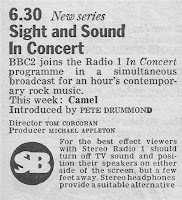 Worth noting: the Saturday 'In Concert' programmes went to VHF/FM (what were mostly the Radio 2 frequencies) on 7th April 1973 - Radio 1 getting the higher fidelity on Saturday afternoons was a big enough event that it got a Radio Times cover, with Mick Jagger appearing, I think, for the first time in that context, in the year the Stones made the decisive shift to International Jet Set, because part of that first FM schedule was The Rolling Stones Story. From October 1988 they weren't available in FM nationally for a period. 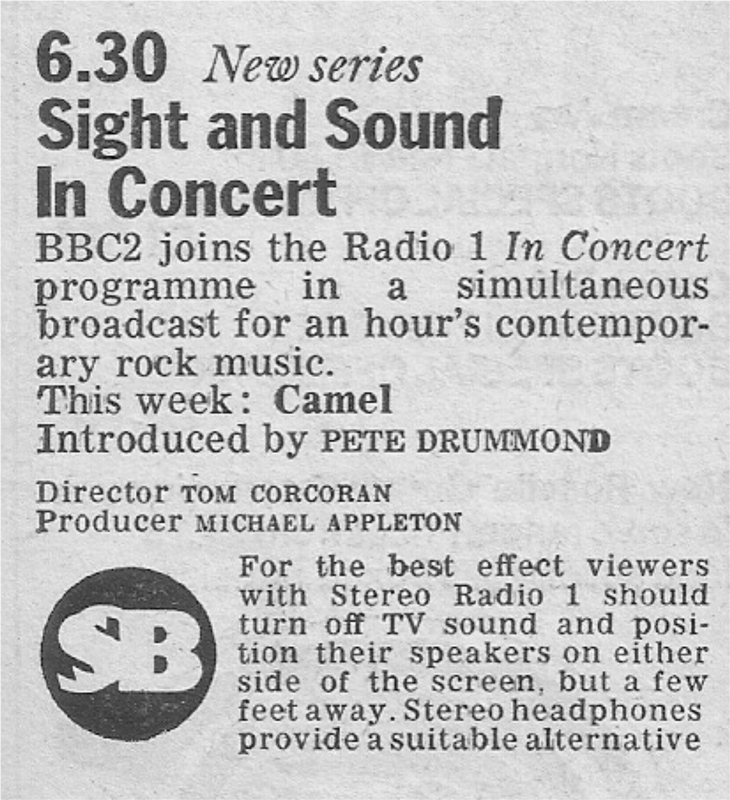 With the sole exception of Sport on 2 on 27th December 1977, from whose intro you once uploaded a VHF clip, the last Saturday afternoon BBC Radio sport programme to be available in better than MW/LW quality until digital transmission became widely available was that of 31st March 1973 - the day of one of Peter Bromley's most famous calls: "and the rest don't matter - we'll never see a race like it in a million years!". Interesting to think of that response to Bowie considering how central to the new establishment he became - though Bowie, certainly compared to Jagger, McCartney et al, clearly didn't really want to be Elgarised, as is shown by his turning down a knighthood when offered by both Blair & Cameron.